After a 17-year hiatus and nearly a decade of teasing, Toyota has officially pulled the covers off the new 2020 Supra at the ongoing North American International Auto Show in Detroit; the iconic two-seater sports coupe will hit 0-100km/h in 4.1 seconds. Just a few days prior to the Supra's debut in Detroit, an online teaser of the car had gone viral which had revealed more or less everything of the new car's exterior. Now though, the wait is finally over as Toyota has revealed the car in its entirety. However, at this point, all the engine specs and details that have been revealed are applicable to the versions which will be sold in the Japanese market only. Toyota is yet to provide more details of the changes which we can expect in the international-spec models. As the Supra is a revered name among the car and videogame enthusiasts all over the globe, and since all its past generations have been front-engine, rear-wheel-drive vehicles powered by an inline six-cylinder engine, Toyota was dealing with tradition while developing the new car. 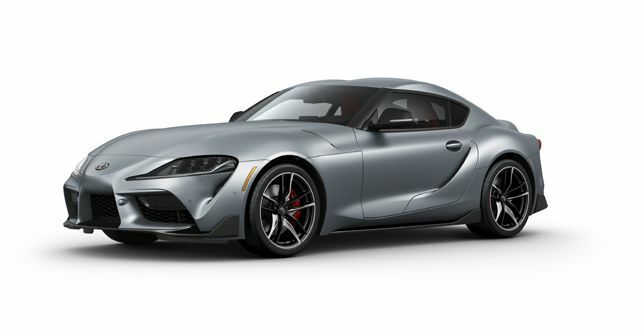 Despite the fact that the new Supra derives its underpinnings (chassis, engine) from the BMW Z4 (as it has been developed in partnership with BMW), the new car retains the 3.0-litre engine tradition. While the 'RZ' version will be sold with a 335bhp 3.0-litre inline-six motor (as compared to the Z4's 377bhp), Toyota will also be selling two lower-spec versions of the car, both of which will be powered by a 2.0-litre inline-four motor. In the SZ-R version, it will put out 254bhp whereas, in the SZ version, the four-cylinder motor will pump out 194bhp. Torque figures for the RZ, SZ-R and SZ stand at 500, 400 and 320Nm. Irrespective of the engine option, the Supra will come fitted an 8-speed automatic transmission exclusively. In terms of styling, the new Supra does not bear any resemblance to the iconic Mk4. The reason behind this: the new car derives its design inspiration from the Toyota FT-1 Concept. While the production-spec imitation's headlights carbon fibre splitter and the carry-over roof remain more or less unchanged from the FT-1, the Supra does lose the FT-1's extended nose piece for an extra grille slat right under the Toyota emblem. The story remains the same at the back, with the slim tail lamps, low-mounted LED brake light all borrowed from the Concept. However, the adaptation seems to be flawless! The cabin bears striking similarities to that of the BMW Z4, thanks to the iDrive dial on the centre-console and the iPad-like infotainment screen. But, having said this, the new Supra retains the Mk4's driver-oriented layout. With a 2,470mm wheelbase, the Supra is in a comparable territory to the Porsche 911 and the Jaguar F-Type but with an overall length of 4,380mm, it is certainly more compact overall - which means shorter front and rear overhangs, an ultra-low centre of gravity and a perfect 50:50 weight distribution. Sales in Japan of the new Supra are slated to start around spring 2019.